This name uses Spanish naming customs: the first or paternal family name is Jiménez and the second or maternal family name is Gago. Roberto Jiménez Gago (Spanish pronunciation: [roˈβeɾto xiˈmeneθ ˈɣaɣo]; born 10 February 1986), known simply as Roberto, is a Spanish professional footballer who plays for RCD Espanyol as a goalkeeper. An Atlético Madrid youth graduate, Madrid-born Roberto played mainly for the B-side, only receiving the occasional call-up due to suspensions or injuries. After a plague of the latter, he made his first-team debut, playing in a 1–2 away loss against CA Osasuna. In early July 2008, Roberto was deemed surplus to requirements and sold to fellow La Liga club Recreativo de Huelva as part of the deal that sent Florent Sinama Pongolle in the opposite direction – Atlético, however, had an option to rebuy. During his first year, which ended in relegation, he was restricted solely to appearances in the Copa del Rey. On 13 July 2009, Roberto returned to Atlético after the payment of €1,250,000 to the Andalusians, penning a three-year contract. This happened after the simultaneous departures of Grégory Coupet and Leo Franco from the Colchoneros. As first-choice Sergio Asenjo was summoned for the 2009 FIFA U-20 World Cup, Roberto was promoted to the starting XI, his first game being a 2–5 loss at FC Barcelona on 19 September. 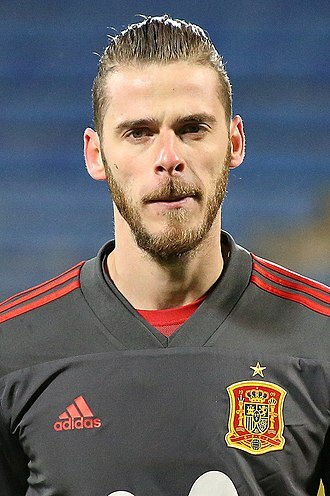 Shortly after he got injured and, when he returned, found himself third-choice behind Asenjo and youngster David de Gea; thus, in late January 2010, a loan to struggling Real Zaragoza was arranged until the end of the season– he relegated Juan Pablo Carrizo to the bench, helping the Aragonese finally escape relegation. On 25 June 2010, it was confirmed that S.L. Benfica signed Roberto for a fee of €8.5 million. In his first three official matches – the first against FC Porto for the season's Portuguese Supercup – his performances were poor overall, as the Lisbon club suffered three defeats and he conceded six goals; he was benched for the third Primeira Liga game of the season, at home against Vitória de Setúbal, but had to be brought in after Júlio César was sent off for a foul in the box at the 20-minute mark, and saved the ensuing penalty from Hugo Leal in an eventual 3–0 win. At the end of 2010–11, Roberto fell out of favour at Benfica after the off-season signings of Artur and Eduardo. On 1 August 2011, Roberto returned to Zaragoza, being transferred for a fee of €8.6 million in a purchase which was almost totally funded by a parent company of Zaragoza, who retained 99% of the player's economic rights. However, it was later reported that a football investment fund was involved in that deal. In his first season in his second spell, he played all 38 league games as the team again avoided top flight relegation in the very last round. He again started in the 2012–13 campaign, but the club returned to the second level after a four-year stay. On 26 July 2013, Roberto returned to Atlético Madrid, signing a four-year contract after an arrangement with Benfica and being immediately loaned to Greek team Olympiacos FC. The transfer was questioned by the Portuguese Securities Market Commission, with Benfica explaining that BE Plan, the parent company who originally funded his transfer, defaulted on its obligations, so Zaragoza and Benfica agreed to revert the player's sporting and economic rights, with the latter immediately selling him to Atlético Madrid for €6 million. On 5 November 2013, Roberto put on a Man of the match performance against his former club Benfica, in a 1–0 win in Piraeus for the season's UEFA Champions League. In February of the following year, Olympiacos and Atlético reached an agreement for a permanent €2.5 million transfer, and he signed a four-year contract with the former; prior the official announcement, news regarding the move were announced through the Karaiskakis Stadium loudspeakers during a match against Panionios FC. On 22 October 2014, Roberto saved several shots in a 1–0 home win over Juventus F.C. for the Champions League, but his team eventually did not progress from the group stage. On 22 June 2016, Roberto became new manager Quique Sánchez Flores' first signing at RCD Espanyol, penning a three-year contract for €3 million. On 5 July of the following year, after playing second-choice to Diego López, he moved to fellow league team Málaga CF on loan. ^ "Osasuna mantiene intocable El Sadar" [Osasuna keep El Sadar untouched] (in Spanish). El Mundo. 22 December 2005. Retrieved 13 June 2016. ^ "El Recreativo de Huelva ficha al portero Roberto" [Recreativo de Huelva sign goalkeeper Roberto] (in Spanish). Diario AS. 5 July 2008. Retrieved 13 June 2016. ^ "Roberto se rompe y debuta De Gea" [Roberto breaks and De Gea makes debut] (in Spanish). Marca. 30 September 2009. Retrieved 13 June 2016. ^ "El Zaragoza consigue la cesión del portero Roberto" [Zaragoza get loan of goalkeeper Roberto] (in Spanish). Diario AS. 25 January 2010. Retrieved 13 June 2016. ^ "La portería está vacía" [The goal is empty] (in Spanish). 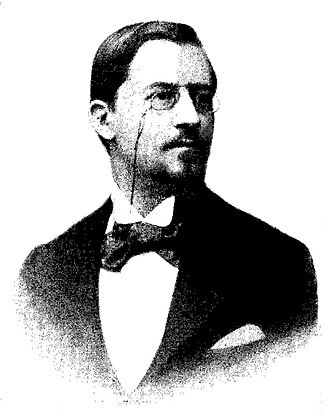 Heraldo de Aragón. 28 June 2010. Retrieved 13 June 2016. ^ "Comunicado" [Announcement] (PDF) (in Portuguese). Portuguese Securities Market Commission. 25 June 2010. Retrieved 18 August 2011. ^ "Comunicado" [Announcement] (PDF) (in Portuguese). Portuguese Securities Market Commission. 3 August 2011. Retrieved 18 August 2011. ^ "Transfer dynamics could be on the brink of change". The Guardian. 11 August 2011. Retrieved 12 August 2011. ^ "Acuerdo con el Benfica para el traspaso de Roberto" [Agreement with Benfica for transfer of Roberto] (in Spanish). 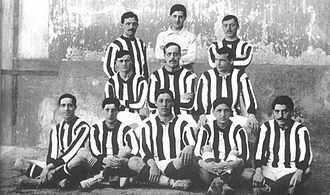 Atlético Madrid. 26 July 2013. Retrieved 27 July 2013. ^ "Comunicado" [Announcement] (PDF) (in Portuguese). Portuguese Securities Market Commission. 30 July 2013. Retrieved 30 July 2013. ^ "Benfica explica 'negócio' de Roberto" [Benfica explain Roberto 'deal'] (in Portuguese). Expresso. 30 July 2013. Retrieved 29 October 2017. ^ "CMVM avalia se resposta do Benfica sobre Roberto trai informação de há dois anos" [PSMC assesses if Benfica reply on Roberto belies two-year old information] (in Portuguese). Jornal de Negócios. 30 July 2013. Retrieved 29 October 2017. ^ "Olympiacos win as Roberto keeps Benfica at bay". UEFA. 5 November 2013. Retrieved 7 November 2013. ^ ΠΑΕ Ολυμπιακός – Ανακοίνωση [Olympiacos – announcement] (in Greek). Olympiacos F.C. 5 February 2014. Retrieved 6 February 2014. ^ ΑΝΑΛΥΣΗ Ρομπέρτο: Τόσο τον πήρε ο Ολυμπιακός, τόσα παίρνει ο Ισπανός, τόσο θα πωληθεί [Roberto analysis: This is how much Olympiakos spent, the player's salary, for how much he will be sold!] (in Greek). Contra. 29 April 2016. Retrieved 29 April 2016. ^ "Champions League: Olympiacos edge out Juventus to level on points with Atletico". Sky Sports. 22 October 2014. Retrieved 1 June 2015. ^ "Roberto Jiménez, nou jugador de l'Espanyol" [Roberto Jiménez, new Espanyol player] (in Catalan). RCD Espanyol. 22 June 2016. Retrieved 22 June 2016. ^ "Roberto será el nuevo portero del Málaga CF" [Roberto will be the new goalkeeper of Málaga CF] (in Spanish). 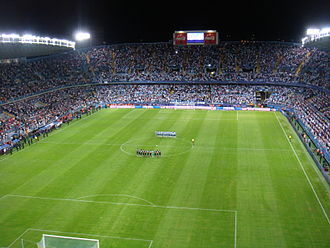 Málaga CF. 5 July 2017. Retrieved 6 July 2017. ^ "Roberto". Soccerway. Retrieved 25 February 2014. 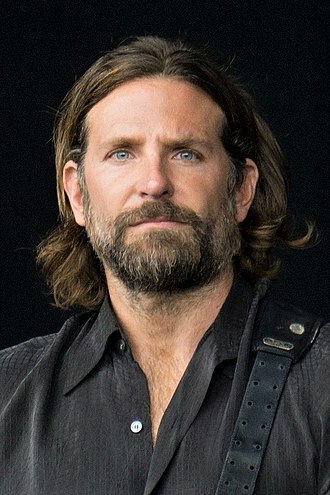 ^ "Roberto". Footballdatabase. Retrieved 7 April 2015. ^ "Roberto – Trophies". Soccerway. Retrieved 21 April 2015. ^ "Olympiakos win Greek league for the fifth straight year". The Independent. 22 April 2015. Retrieved 22 April 2015. Goalkeeper, often shortened to keeper or goalie, is one of the major positions of association football. It is the most specialised position in the sport, the goalkeepers primary role is to prevent the opposing team from successfully moving the ball over the defended goal-line. This is accomplished by the moving into the path of the ball. Within the penalty area goalkeepers are able to use their hands, goalkeepers usually perform goal kicks, and give commands to their defence during corner kicks and indirect free kicks, and marking. Goalkeepers play an important role in directing on field strategy as they have a view of the entire pitch. If an attacker on the opposing team obstructs the keeper from catching or saving the ball, for example, in a corner, it will normally be a free kick. If a goalkeeper is injured or sent off, a goalkeeper has to take their place. In order to replace a goalkeeper who is sent off, a team usually substitutes an outfield player for the backup keeper and they play the remainder of the match with nine outfield players. Goalkeepers often have longer playing careers than players, many not retiring until their late thirties or early forties. This can be explained by noting that goalkeepers play a physically demanding position that requires significantly less running. For example, Peter Shilton played for 31 years between 1966 and 1997 before retiring at the age of 47. Because only one player can play in goal and the position is so specialised many professional teams on average especially at the highest level have one player as first-choice for many years, for example Gianlugi Buffon has played as first choice keeper for Juventus for more than 15 years. Petr Cech prior to his move to Aresnal was first choice keeper for Chelsea between 2004 and 2015, the squad number for a first choice goalkeeper is generally number 1. Although this is common, some goalkeepers now wear other numbers when in goal, association football, like many sports, has experienced many changes in tactics resulting in the generation and elimination of different positions. Greece, officially the Hellenic Republic, historically known as Hellas, is a country in southeastern Europe, with a population of approximately 11 million as of 2015. 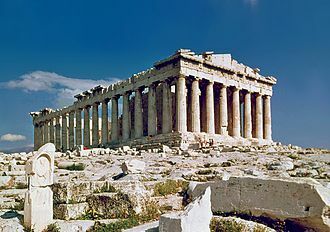 Athens is the capital and largest city, followed by Thessaloniki. Greece is strategically located at the crossroads of Europe, situated on the southern tip of the Balkan peninsula, it shares land borders with Albania to the northwest, the Republic of Macedonia and Bulgaria to the north, and Turkey to the northeast. Greece consists of nine regions, Central Greece, the Peloponnese, Epirus, the Aegean Islands, Crete. The Aegean Sea lies to the east of the mainland, the Ionian Sea to the west, the Cretan Sea and the Mediterranean Sea to the south. Greece has the longest coastline on the Mediterranean Basin and the 11th longest coastline in the world at 13,676 km in length, featuring a vast number of islands, eighty percent of Greece is mountainous, with Mount Olympus being the highest peak at 2,918 metres. 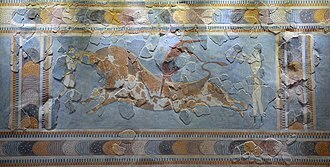 From the eighth century BC, the Greeks were organised into various independent city-states, known as polis, which spanned the entire Mediterranean region and the Black Sea. 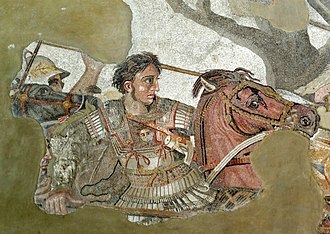 Greece was annexed by Rome in the second century BC, becoming a part of the Roman Empire and its successor. 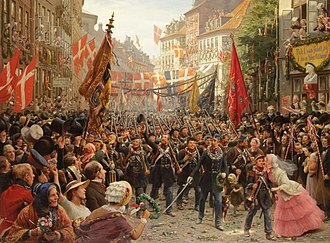 The Greek Orthodox Church shaped modern Greek identity and transmitted Greek traditions to the wider Orthodox World, falling under Ottoman dominion in the mid-15th century, the modern nation state of Greece emerged in 1830 following a war of independence. Greeces rich historical legacy is reflected by its 18 UNESCO World Heritage Sites, among the most in Europe, Greece is a democratic and developed country with an advanced high-income economy, a high quality of life, and a very high standard of living. A founding member of the United Nations, Greece was the member to join the European Communities and has been part of the Eurozone since 2001. Greeces unique cultural heritage, large industry, prominent shipping sector. It is the largest economy in the Balkans, where it is an important regional investor, the names for the nation of Greece and the Greek people differ from the names used in other languages and cultures. Outside of Europe, a number of overseas territories of EU members use the euro as their currency. Additionally,210 million people worldwide as of 2013 use currencies pegged to the euro, the euro is the second largest reserve currency as well as the second most traded currency in the world after the United States dollar. The name euro was adopted on 16 December 1995 in Madrid. The euro was introduced to world markets as an accounting currency on 1 January 1999. While the euro dropped subsequently to US$0.8252 within two years, it has traded above the U. S. dollar since the end of 2002, peaking at US$1.6038 on 18 July 2008. In July 2012, the euro fell below US$1.21 for the first time in two years, following concerns raised over Greek debt and Spains troubled banking sector, as of 26 March 2017, the euro–dollar exchange rate stands at ~ US$1.07. The euro is managed and administered by the Frankfurt-based European Central Bank, as an independent central bank, the ECB has sole authority to set monetary policy. The Eurosystem participates in the printing and distribution of notes and coins in all states. The 1992 Maastricht Treaty obliges most EU member states to adopt the euro upon meeting certain monetary and budgetary convergence criteria, all nations that have joined the EU since 1993 have pledged to adopt the euro in due course. Since 5 January 2002, the central banks and the ECB have issued euro banknotes on a joint basis. Euro banknotes do not show which central bank issued them, Eurosystem NCBs are required to accept euro banknotes put into circulation by other Eurosystem members and these banknotes are not repatriated. The ECB issues 8% of the value of banknotes issued by the Eurosystem. In practice, the ECBs banknotes are put into circulation by the NCBs and these liabilities carry interest at the main refinancing rate of the ECB. The euro is divided into 100 cents, in Community legislative acts the plural forms of euro and cent are spelled without the s, notwithstanding normal English usage. Juan Pablo Carrizo is an Argentine professional footballer who plays as a goalkeeper for Serie A club Internazionale. He started his career with River Plate, where he played until 2008. His performances earned him a move to Europe, where he played for Lazio in Italy and on loan for Zaragoza in Spain, before returning at River Plate again, Carrizo was again loaned by Lazio this time to Calcio Catania where he played until June 2012. In January 2013, Internazionale purchased him as a back-up for Samir Handanović, a former Argentina international, Carrizo has played 12 matches for his country, representing them in 2007 and 2011 editions of Copa América. Carrizo made his debut with River Plate on 29 January 2006 against Tiro Federal and he played with River Plate until the last game of the 2008 Clausura, helping the team obtain the national championship. Carrizo was supposed to move to Lazio in the transfer window of 2007. He finally registered with the Lega Nazionale Professionisti on 6 June 2008, throughout his time on the Lazio bench, Carrizo repeatedly voiced his discontent at losing his place, and thus Lazio elected to fine him €20,000. At the end of the season, Carrizo was loaned out to newly promoted Spanish club Real Zaragoza as part of the deal which saw Matuzalém become a permanent Lazio player until 2012. On 18 June 2010 he returned on loan to River Plate, Carrizo made his debut for the club on 22 February 2012, making three decisive saves and keeping a clean sheet in a 0–1 away victory over Siena. On 31 January 2013, in the last day of transfer window, Carrizo joined fellow Serie A side Internazionale for a fee of 250. In his presentation one week later, Carrizo said that it is an honour to join Inter, the Argentinian served as a second choice goalkeeper after Luca Castellazzi suffered an injury. Carrizo made his debut for the club against Bologna in Serie A on 10 March 2013 and this was his first and only appearance for 2012–13 season, and Inter finished the Serie A season in a disappointing 9th place. After the season finished, he extended his contract until 2015, six days later, in a league game against Hellas Verona, Carrizo played his first match as a starter in a 4–2 win over in San Siro. Florent Stéphane Sinama Pongolle is a French professional footballer who plays for Thai club Chainat Hornbill F. C. as a forward. He was signed at only 16 by Liverpool, but could never impose himself in the first team and he spent several seasons in Spain, with Recreativo, Atlético Madrid and Zaragoza. Sinama Pongolle was born in Saint-Pierre, Réunion, in late January 2006, Sinama Pongolle was loaned to fellow Premier League side Blackburn Rovers until the end of the season. He scored once for the club, a 2–3 defeat at Tottenham Hotspur, on 30 August 2006, Sinama Pongolle signed a one-year contract at Recreativo de Huelva, with an option to sign on for a further two years. On 4 May 2007 the Andalusians confirmed he had agreed to a deal until 2011 and he was Recres top goalscorer in his two La Liga seasons with the team, at 12 and 10 respectively. Sinama Pongolle joined Atlético Madrid on 3 July 2008, for a fee believed to be in the region of £8 million. In the winter transfer market opening in 2010, Sinama Pongolle was transferred to Sporting Clube de Portugal for €6.5 million, with the fee possibly raising to €7.5. Futbol Club Barcelona, commonly known as Barcelona and familiarly as Barça, is a professional football club based in Barcelona, Spain. Founded in 1899 by a group of Swiss and Catalan footballers led by Joan Gamper, unlike many other football clubs, the supporters own and operate Barcelona. It is the second most valuable team in the world, worth $3.56 billion. The official Barcelona anthem is the Cant del Barça, written by Jaume Picas, Barcelona was ranked first in the IFFHS Club World Ranking for 1997,2009,2011,2012 and 2015 and currently occupies the third position on the UEFA club rankings. The club has a rivalry with Real Madrid, matches between the two teams are referred to as El Clásico. Barcelona is one of the most supported teams in the world, Barcelonas players have won a record number of Ballon dOr awards, as well as a record number of FIFA World Player of the Year awards. Barcelona is one of three founding members of the Primera División that have never relegated from the top division, along with Athletic Bilbao. In 2011, the club became European champions again and won five trophies, by winning their fifth Champions League trophy on 6 June 2015, Barcelona became the first European club in history to achieve the continental treble twice. On 22 October 1899, Hans Gamper placed an advertisement in Los Deportes declaring his wish to form a football club, FC Barcelona had a successful start in regional and national cups, competing in the Campionat de Catalunya and the Copa del Rey. 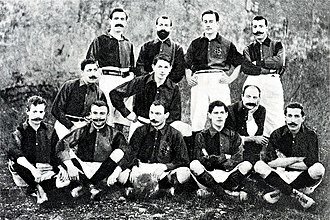 In 1902, the club won its first trophy, the Copa Macaya and he said in a meeting, Barcelona cannot die and must not die. If there is nobody who is going to try, I will assume the responsibility of running the club now on. Club president on five occasions between 1908 and 1925, he spent 25 years in total at the helm. 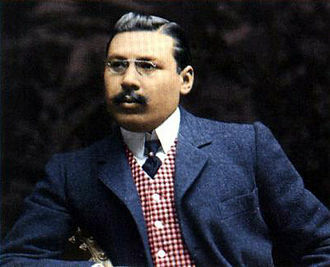 One of his achievements was ensuring Barça acquire its own stadium. On 14 March 1909, the moved into the Camp de la Indústria. To celebrate their new surroundings, the club conducted a logo contest the following year, Carles Comamala won the contest, and his suggestion became the crest that the club still wears – with some minor changes – as of the present day. Sport Lisboa e Benfica, commonly known as Benfica, is a Portuguese sports club based in Lisbon, Portugal. It is best known for the football team playing in the Primeira Liga. Benfica are the current Portuguese champions, having won three league titles. The team is nicknamed Águias for the symbol atop the clubs crest, since 2003, their home ground has been the Estádio da Luz, which replaced the original one. Benfica is the most supported Portuguese club, with a fan base of 14 million supporters worldwide. By August 2015, it had 156,916 paying members, the clubs official anthem, Ser Benfiquista, refers to its supporters who are called Benfiquistas. 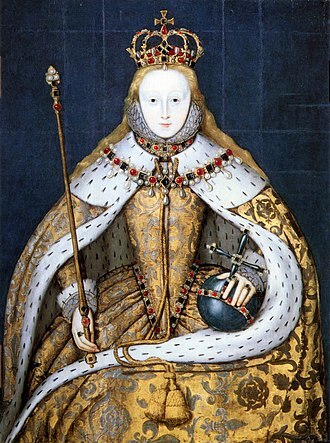 Benfica is honoured in three Portuguese Orders, those of Christ, of Merit and of Prince Henry. Benfica is the most successful Portuguese club in terms of domestic and overall titles –79 including the Latin Cup – and is the only one to have won all national competitions. They have won a record 35 Primeira Liga titles, a record 25 Taça de Portugal, Benfica won two consecutive European Cup titles, in 1961 and 1962, a unique feat in Portuguese football. In addition, they were runners-up at the Intercontinental Cup in 1961 and 62, at the European Cup in 1963,65,68,88 and 90 and they have reached ten European finals, which ranks seventh all-time among UEFA clubs and is a domestic record. Furthermore, they hold the European record for the most consecutive wins in domestic league, in the 1972–73 campaign, Benfica became the first undefeated Portuguese champions. In 2000, Benfica was ranked twelfth in the FIFA Club of the Century award, Benficas all-time top goalscorer is Eusébio, who won one Ballon dOr and two European Golden Boots while at the club. On 28 February 1904, a group of students from the Real Casa Pia de Lisboa. Their goal was to form a social and cultural football club, there were a total of 24 people who attended the meeting, including the 18-year-old co-founder and future soul of the club, Cosme Damião. In this meeting, José Rosa Rodrigues was appointed as president, along with Daniel Brito as secretary. 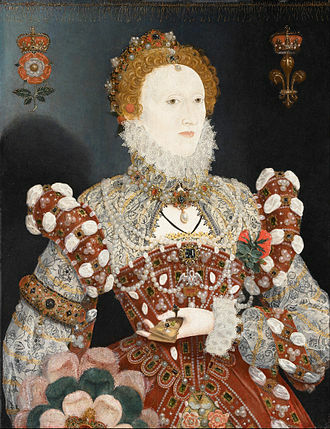 It was defined that the colours would be red for bravery. Helenio Herrera won two Liga titles as Atlético manager. Radomir Antić managed Atlético in three stints during the ownership of Jesús Gil, winning a league and cup double in 1996. Walter Wild, the club's first president (1899–1901). His main achievement was getting Barça its first home ground. 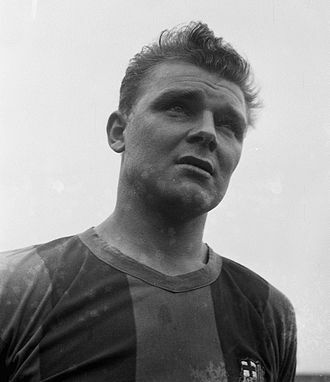 A prolific forward, László Kubala led Barcelona to success in the 1950s. His statue is built outside the Camp Nou. First testimony of the coat of arms of Aragon. Fabricio Vagad, printed in Zaragoza in 1499 by Pablo Hurus. La Plaza de Aragón square in Zaragoza, on Saint George's Day, with a flag of Aragon of flowers. 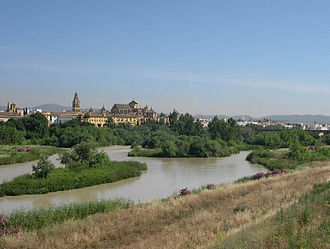 Hermitage of la Virgen de la Peña in Aniés, La Sotonera, province of Huesca. Formigal Ski Resort near Formigal town, Sallent de Gállego. Rabah Madjer (pictured in 1982) was a key figure in Porto's 1987 European Cup Final victory. Bobby Robson won the first two of Porto's record five consecutive league titles. Porto players celebrate the club's second Tetra in 2008–09. Section of the Cerca Velha (Old Wall). Originally built by Romans, later rebuilt by the Moors. 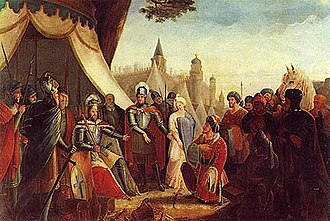 Surrender of the Moors to King Afonso at the 1147 Siege of Lisbon. The 1384 Siege of Lisbon in Froissart's Chronicles. The European Central Bank has its seat in Frankfurt (Germany) and is in charge of the monetary policy of the eurozone. The design for the new Europa series 100 euro note (and for new 50 and 200 notes) features the acronyms of the name of the European Central Bank in ten linguistic variants, covering all official languages of the EU28. Player preparing to take a penalty kick, 2013. 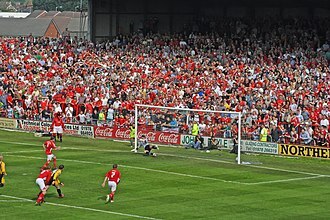 A penalty being scored by Ryan Valentine. Despite having been ejected, manager of the Wisconsin Timber Rattlers Scott Steinmann continues to argue with umpire Nicholas Nolde. Players celebrate a goal by Hélder Postiga during the 2012–13 season. The 1995 Cup Winners' Cup in display in the club's trophy cabinet. Osasuna playing against Deportivo in 2012.